The physical layout of your website, including the best use of headings as well as placement of content, videos and images, can have a big impact on how it ranks for various key phrases in search engine results. For this reason, if you wish to achieve the highest rankings possible it is a very good idea to have your site designed by SEO experts such as our team right here at Ohana Media. 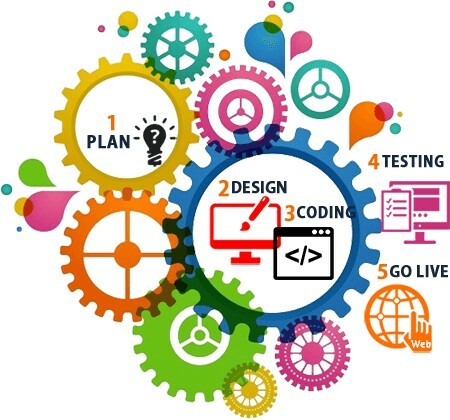 We have a top group of experienced and highly skilled designers who will not only make sure that your corporate site is aesthetically appealing and has real visual impact, but is also laid out in such a way as to maximize the odds that it will appear on the first page of search engine results for relevant terms. What Makes Our Design Team the Best in the Business? Superb Graphic Design – Your main aim may well be to maximize the traffic that your website receives but if you neglect to make the site visually appealing, those visitors you attract are unlikely to hang around. Our designers will make sure that every page on your site is laid out in a manner that attracts rather than repels visitors, with a color scheme and images that are fitting for the type of business you are promoting. Clear Navigation – Once a visitor lands on your site, they need to know two things: where the page they are on is located in relation to other parts of your site and how they can reach these parts with minimal effort. Fast Loading – The best promotional strategies, the most stunning graphics and the simplest navigation will all be next to useless if your website pages take so long to load that visitors give up and go elsewhere. Our designers will make sure that fast loading is a top priority when putting your new site together. If you would like to discuss your web design requirements in detail, Call or Email and we will be more than happy to let you know exactly what we can do for you and how little it will take.